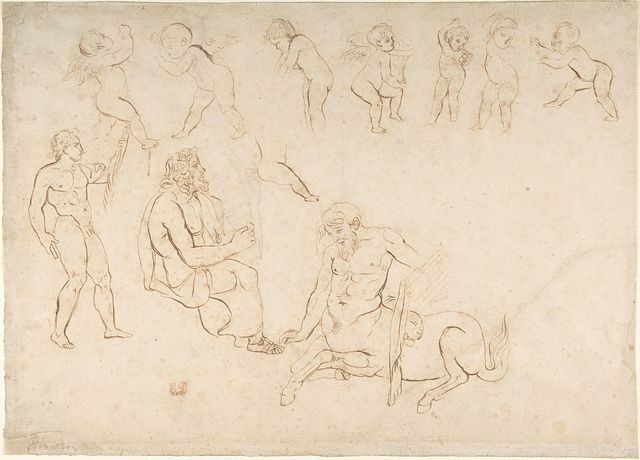 "Eugène Delacroix, Studies for the decoration of the Library, Palais Bourbon, Paris" by ウジェーヌ・ドラクロワ - メトロポリタン美術館, online database: entry 336052. Licensed under パブリック・ドメイン via Wikimedia Commons. "Achilleus Lyra" by upload by muesse - www.focus.de. Licensed under Public Domain via Wikimedia Commons. Archäologisches Nationalmuseum, Neapel. 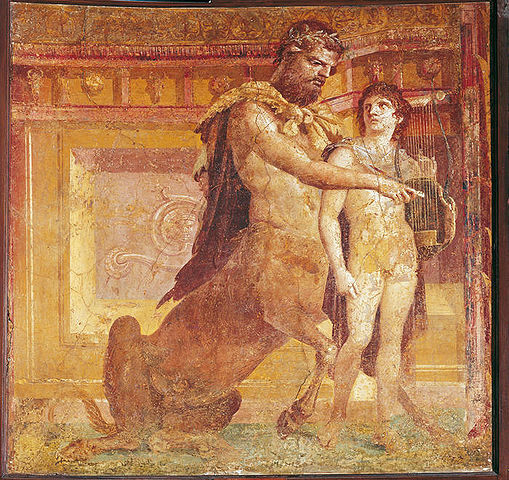 Der Zentaur Chiron lehrt Achilles auf dem Fresko das Lyra-Spiel. 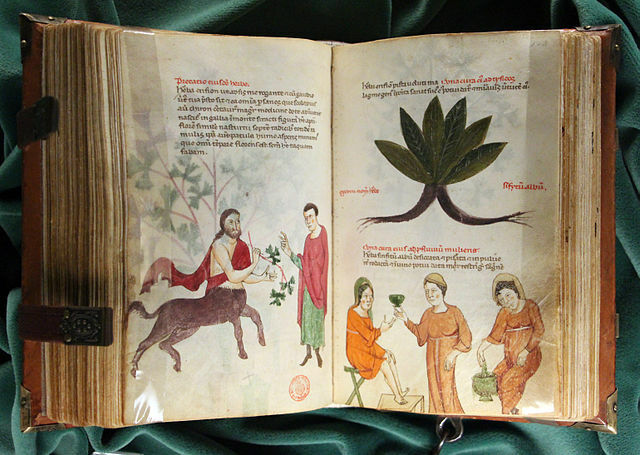 "Italia meridionale, miscellanea medica, 1250 ca., pluteo 73.16, 02 chirone" by Sailko - 投稿者自身による作品. Licensed under CC 表示 3.0 via Wikimedia Commons. "1590. 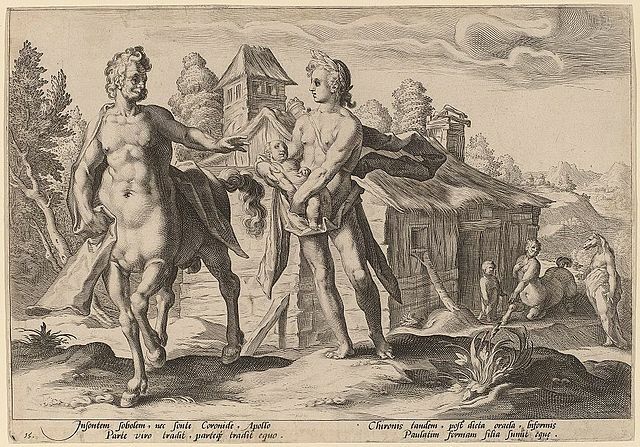 Apollo Entrusting Chiron with the Education of Aescalapius - etching - Washington DC, NGA" by Hendrik Goltzius Workshop - National Gallery of Art. Licensed under パブリック・ドメイン via Wikimedia Commons. 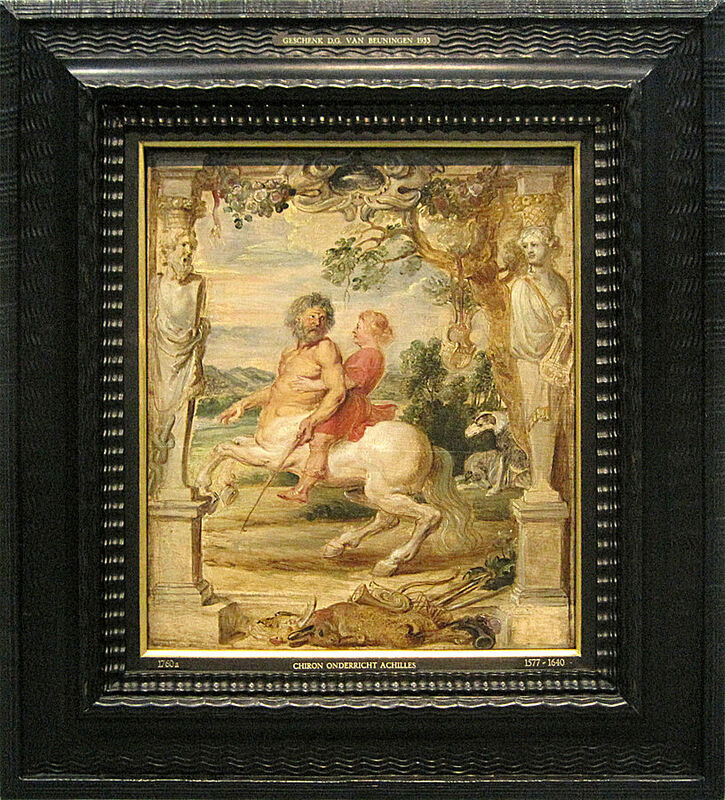 "0 Le Centaure Chiron et son élève - P.P. Rubens (1)" by ピーテル・パウル・ルーベンス - User:Jean-Pol GRANDMONT (2013). Licensed under パブリック・ドメイン via Wikimedia Commons. 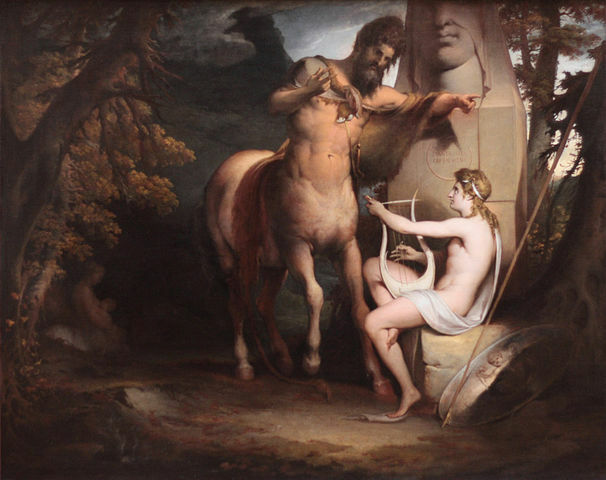 "The Education of Achilles, by James Barry" by James Barry - painted by James Barry, photographed by uploader. Licensed under Public Domain via Wikimedia Commons.